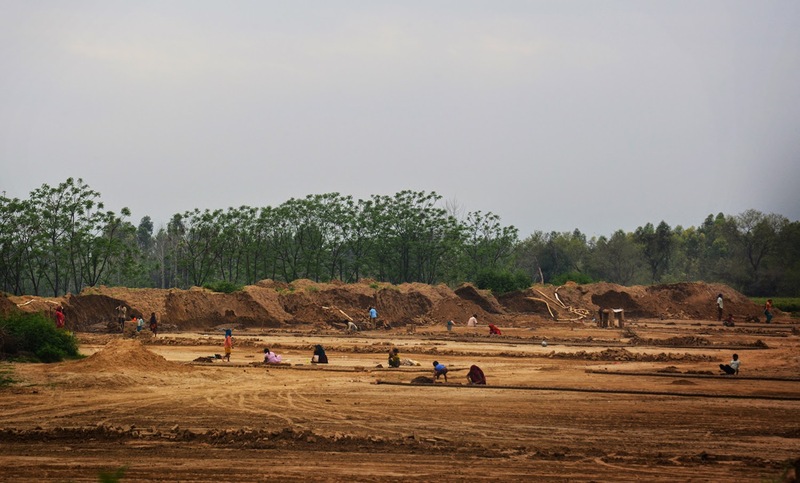 Here is a photograph of workers at a brick kiln in Punjab, India. They work hard in scorching heat to make there both ends meet. I tried to capture the essence from a distance. I like the various activities going on in this click. There are women, there are children. Everyone is busy doing there work.